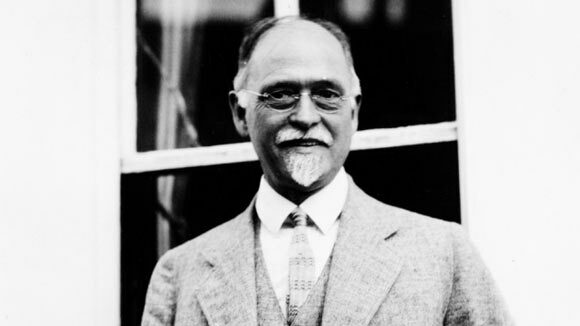 Irving Fisher was a great American mathematician, economist, and writer. He was one of the first economists to subscribe to the neoclassical school of thought and is widely recognized for his contributions to capital theory. Fisher was born on 27th February, 1867, in Saugerties, New York to a religious family. He displayed signs of his mathematical intellect and invention during his early days, and started to financially support his family giving tuitions after his father passed away. Fisher completed his B.A. in 1888, graduating with first position in his class. He later matriculated from Yale University, where he sought to pursue his Ph.D. Fisher realized this feat in 1891, and was awarded the first Ph.D. in economics by Yale. He submitted his thesis which delved in the dynamics of general equilibrium, and was eventually published by Yale in 1892. Irving Fisher continued his association with Yale by staying on as a tutor. In 1898, he achieved professor status, becoming instructor of political economy, and became professor emeritus in 1935. Fisher played an active role in the societies and charity foundations at the University, and also edited the Yale review in the years between 1896 and 1910. He remained at Yale during his entire professional career. Fisher presented his own theory on interest as a choice of a community between a dollar of the present and a dollar of the future. He said that interest theory was dependent on people’s ability to remain patient and wait for their capital to grow. Capital according to Fisher, was any item of value which could produce a stream of income inflows. This stream however is independent of the capital. The two are linked via the prevailing interest rate, as Fisher considered capital to be the present, or discounted value, of the total income inflows that the underlying asset breeds. Fisher’s take on taxation systems was also noteworthy. He felt that the prevailing mechanism tilted in favor those who consumed rather than those who saved. Fisher argued that when people decide to save, they are being taxed first on the income they use to buy capital goods and later on the income generated by that capital. This has an effect of double taxation on savings, making consumption relatively more attractive. Fisher thus proposed a consumption tax in order to turn the tables and shift the tax policies in favor of savings. This dogma continues to be used by economists nowadays who advocate consumption taxes. Fisher was the first to not only create price indexes, but to also highlight the distinction between nominal and real interest rates. He founded his own Index Number Institute, which collected and generated international price indexes between 1923 and 1926. Moreover, it was Fisher who defined real interest as the difference between the nominal interest rate and the expected inflation figure. His other contributions to the economic discipline include the creation of the quantity theory of money. According to Fisher, the value of the money supply times its circulation within the economy equaled the product of the general price level and the aggregate number of transactions. Fisher’s approach was governed by the application of mathematics, which he managed to use in virtually all his theories. His specialty lied in translating complex economic theory in to simple text, as was exhibited in his book Theory of Interest which is renowned for its ease of understanding. His legacy constitutes his position as president of the American Economic Association, an honor he was bestowed with in 1918. He died in New York City in 1947.